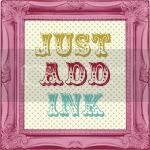 10% off selected Big Shot Dies for the amazing (how did I ever craft before I had one of these?) 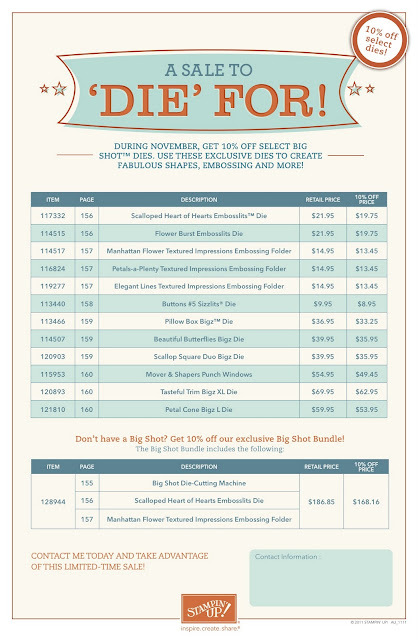 Big Shot die-cutting machine as well as 10% off a fabulous Big Shot bundle (where you can own a Big Shot of your very own plus 2 dies to get you started). If you are interested in taking advantage of this November special please don't hesitiate to contact me and I can have these Stampin' goodies shipped straight to your doorstep. Just off to play with my Big Shot and the fabulous Petal Cone Die (which is on special of course!!!! ).